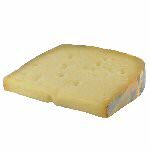 Old Amsterdam is a Dutch gourmet cheese that is ripened to perfection and regularly checked for flavor. 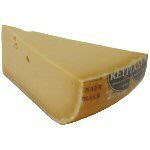 It is a gourmet cheese of exceptionally high and consistent quality, with a buttery mature aged Gouda flavor that cuts with ease. Just like the famous wines of distinction, Old Amsterdam is now recognized with 'Premier Grand Cru Classe' and has won numerous European Gold Medals for gourmet cheese. It is a particular favorite in our household and we enjoy its fine rich taste with both wine in the afternoon and in many meals. It can be served as an hors d'oeuvre, in meals or as part of a delightful after dinner cheese plate and goes well with both red and white wines. It slices, grates, and cooks very well. You simply can't go wrong choosing this fine Dutch gourmet cheese- Old Amsterdam. We believe you will love it as much as we do. 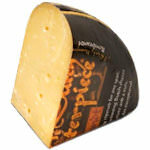 It was awarded a a golden award for 'Best Dutch Cheese' at the Nantwich Cheese Show in the UK in 2012. 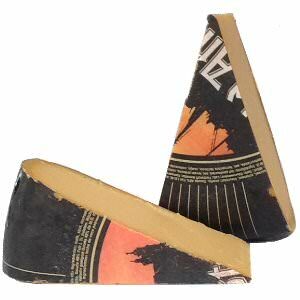 We cut and wrap this gourmet cheese in wedges of 8 ounces and 1 pound. Ingredients: Pasteurized milk, salt, cheese cultures, rennet, annato color.